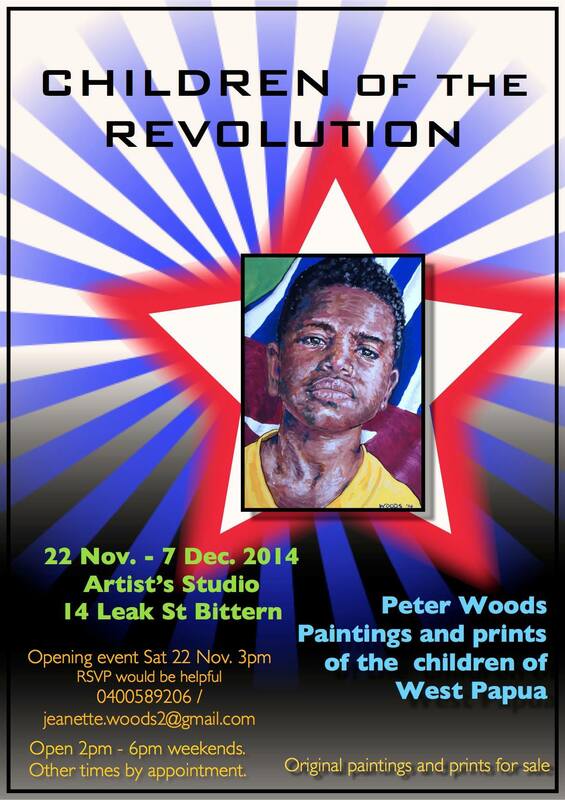 You’re warmly invited to my exhibition Children of the Revolution, Nov 22 opening, till Dec 7. Paintings and prints mainly from my June visit to West Papua this year. I wanted to celebrate the fire of hope for freedom which burns in the hearts of the girls and boys of that land.